Labels - quick printing of various forms. .
Labels - quick printing of various forms. Stickers can be non-rectangular. We do digital die cutting starting with the smallest print run. Self-adhesive labels or stickers are an easy and convenient way to apply information to a product. A label or sticker is firmly attached and cannot spontaneously come unstuck due to friction, humidity or sudden changes of temperature during storage and transportation. Labels or stickers are used in business and manufacturing more and more. Stickers can be used as promotional materials with the help of which you can inform people about the concert, entertainment event, to promote an establishment or to hold a rally. We print in color or black-and-white self-adhesive labels in various quantities, starting from smallest print-runs. As the basis for labels-labels we use self-adhesive paper, white or transparent adhesive tape. Stickers can be made as usual rectangular form or custom, with the possibility of cutting. Without additional costs you can personalize labels and stickers, placing on them a barcode or other variable information. Online price calculation of the order will help you to clearly understand the cost. 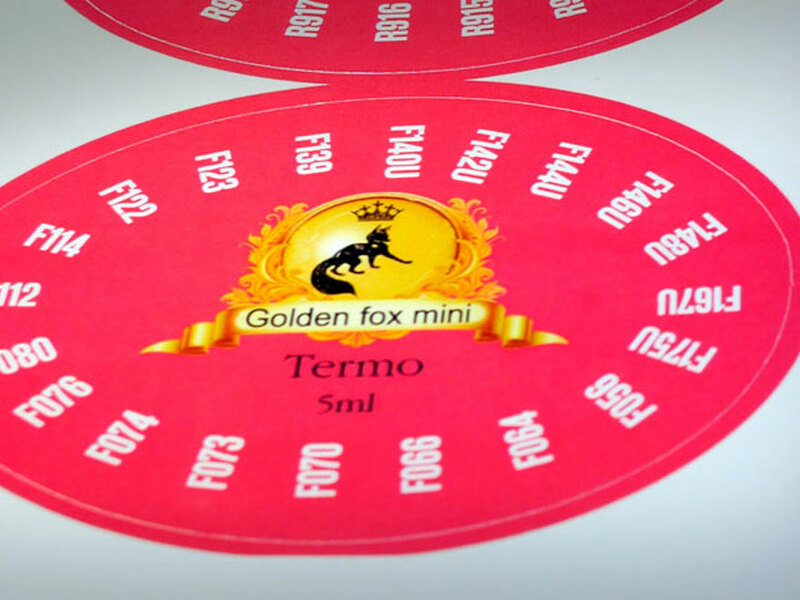 Also online you can order the production and delivery of the necessary quantity of labels.